Great fishing from Sooke to Victoria for Halibut and Chinook Salmon. Slot limits are still in place check the regulations before you head out! (wild salmon between 25 and 67 cm, hatchery greater than 45 cm). After Jun 14, the slot limit is expected to open up to retention of 1 Chinook over 67 cm, wild or hatchery and 1 between 45 cm and 67 cm. Reports of some larger fish showing up with salmon in the low teens to low twenties and a couple close to 30 lbs have come in. 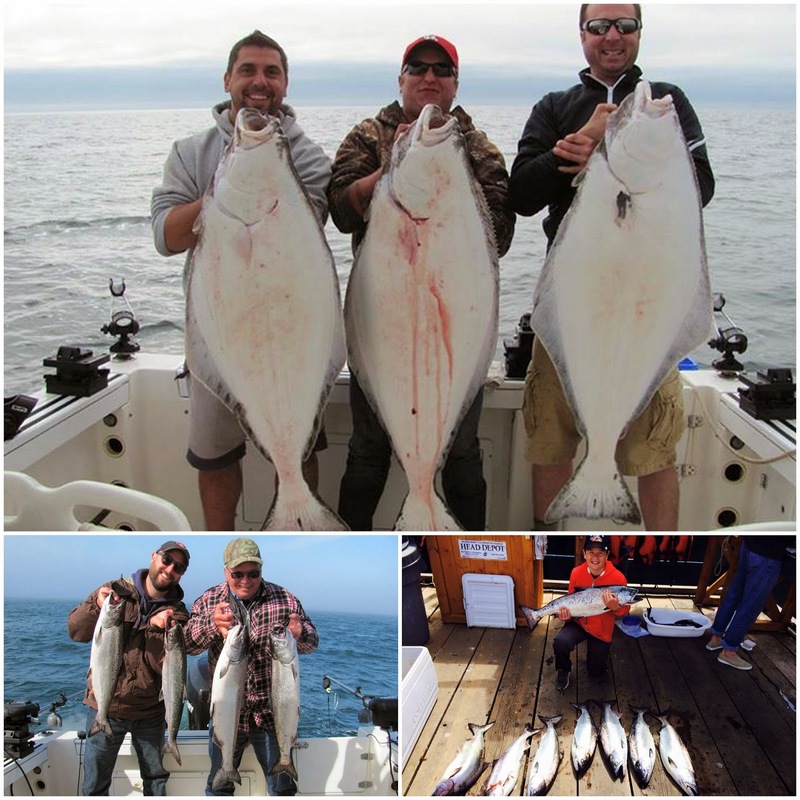 Lots of halibut in the 40-70 lb range brought in during the Sooke Halibut derby. Coho killers and spoons are working well for salmon with reports of some larger fish showing up with chinook in the low twenties and a few close to 30 lbs already. Foghorn Fishing Charters and No Bananas Fishing Charters has been keeping clients happy with some great fishing. Happy clients ! (Foghorn top and bottom left, No Bananas bottom right).